Box jellyfish (Carybdea branchi) pictured off the coast of South Africa. It is not known if it was this most deadly species of jellyfish that killed Gaia, as her cause of death was recorded as anaphylactic shock, or an extreme allergic reaction. 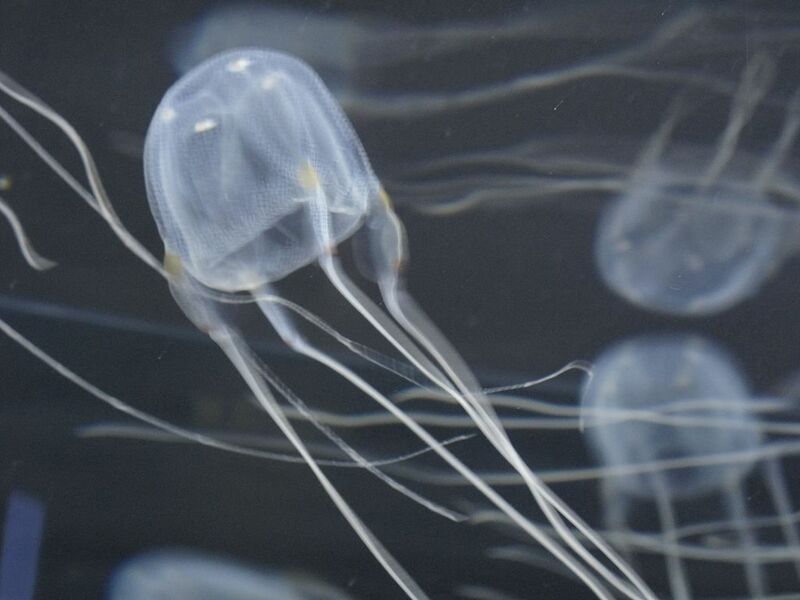 A seven-year-old Filipino-Italian girl has died after being stung by a jellyfish in the tourist town of Caramoan in Camarines Sur province. Gaia Trimarchi Cabanlong, from Rome, was swimming in the waters off Sabitang-Laya island when a jellyfish stung the lower part of her body. A little over an hour later, she was declared dead upon arrival at a town hospital. The town’s police reported that Gaia was accompanied by her mother Romanita, three family friends, the boat captain and a crew member when tragedy struck on Monday (July 30). According to a police report, the boat captain Edcel Alarcon immediately applied gasoline to the sting and the family made haste to seek medical attention. Unfortunately, however, the hospital was some distance away and it took time before the young girl received life-saving treatment. Travel time from the island to the hospital usually takes an hour by sea and another 30 minutes on land. CNN Philippines has recalled how four years ago, actress Anne Curtis-Smith had her own encounter with a deadly jellyfish, known as the box jellyfish. She recovered after receiving treatment but recalled her experience to be a fit of “vomiting, extreme pain and delirium”. The sting of the box, the most deadly jellyfish in the world, can cause excruciating pain, permanent scarring, impaired consciousness, and even cardiac dysfunction leading to death. It is not known if it was a box that stung Gaia, as her cause of death has been recorded as anaphylactic shock — or an extreme allergic reaction. common vinegar should be poured over the sting to ease pain. used by australian lifesavers for all marine stings.